Do you want to feel superb comfort when sleeping? 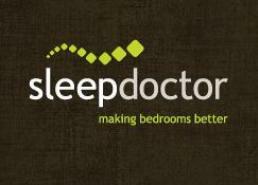 Choose the natural latex mattresses from Sleep Doctor. This will not only give you comfort, but also highly recommended for peole with chemical sentivities. Before buying mattresses in Melbourne, you should consider some factors first, like your health conditions, back trouble, your age, weight, shape and style in sleeping. Talk to our bed specialist today to determine the right mattress for you. Call 03 9041 4765 and check for prices and product availability. You may also check our WEBSITE.